QUEBEC CITY — For generations, North American farmers have despised milkweed and done their best to rid their lands of it. "I hate to have milkweed in my strawberry field," Nathalie Leonard says from her farm by the Quebec village of Lac-du-Cerf. So why does she have 60 acres of milkweed growing on purpose? It's for the sake of butterflies — the iconic monarchs. And for a chance to turn milkweed into profit. "Every weed," she says, "is only a weed because it's in the wrong place." Leonard and her partners in Monark, a co-operative of farmers through Quebec and into Vermont, hope milkweed now has found its rightful place in their fields. 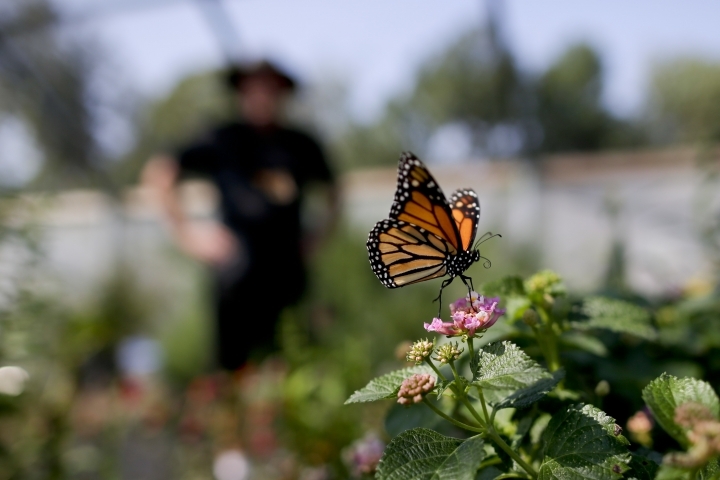 Intrigued by the notion of helping to restore the sinking population of monarch butterflies — and persuaded by the stirrings of a new market — these farmers began clearing land or ripping out cash crops and turning precious acres over to a plant they'd previously seen as a nuisance. 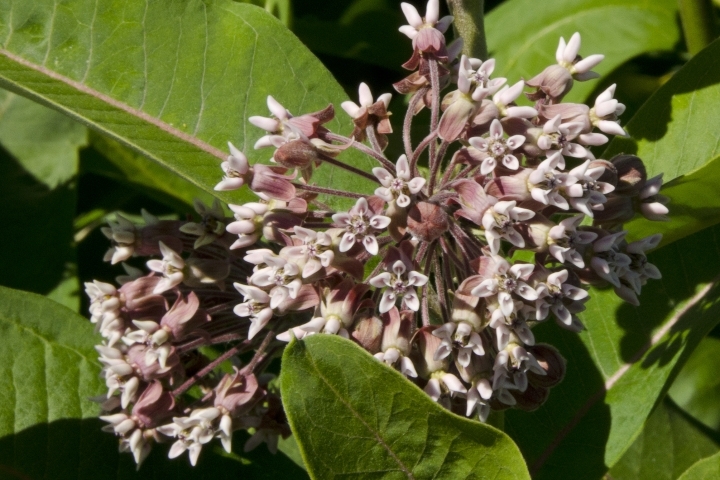 The milkweed makeover began when researchers in Quebec transformed the plant's silky fibers into a high-end insulation material for winter clothing and advanced other commercial uses for it, like sound insulation and absorption for oil spills. Winter coats stuffed with milkweed fiber reached outdoor retailers in 2016, fetching $800 or more apiece. The Canadian Coast Guard tried milkweed garb and liked it. And as a side benefit, the distinctive honey from milkweed fields is prized. Yet the company formed to process and market the fiber collapsed last year, forcing the farmers who grow it to step in and try to make a go of the whole milkweed initiative. They're on track for perhaps their best harvest in the five or so years since the milkweed experiment began, but where the fiber will go after the fall is uncertain. The orange and black monarchs are wholly dependent on milkweed. The plant is the only host for their eggs and sole sustenance for the caterpillars, which feed on milky secretions from the leaves. Milkweed has been in rapid retreat, crowded by urban development, attacked along roadways, and driven from pastoral landscapes by herbicides that spare resistant corn and soybeans. A ritual of autumn — cracking the dry pods to watch the seed-bearing white fluff escape and catch the winds — has faded. 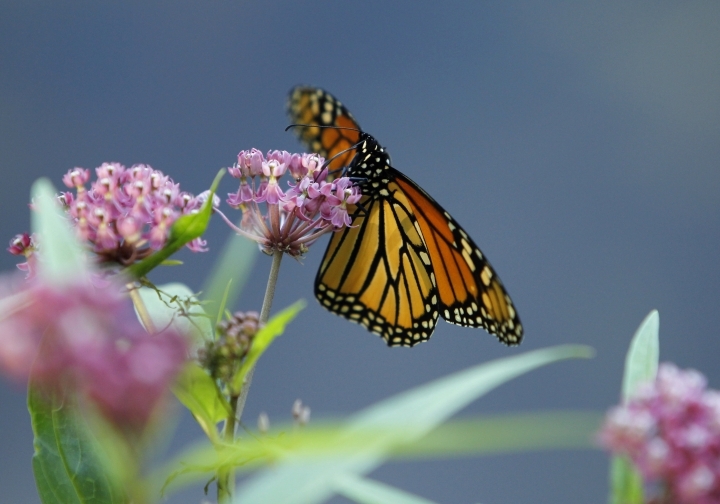 But in recent years, as the plight of the monarchs became more pronounced, communities, schools and gardeners began planting patches of milkweed along roads and public buildings and in backyards to give the butterfly a fighting chance. A 2017 study at the University of Guelph in Ontario found there's nothing more effective in this effort than the all-you-can-eat buffet of a farmer's field of milkweed — visible from the sky, rooted in rich soil, and isolated from traffic and pollution. When University of Vermont agronomist Heather Darby first heard of Quebec's initiative, from a man who called looking for Vermont farmers to join, she was thrown. Milkweed is toxic to livestock — one study says it gives cows "profound depression" on the rare chance they eat it. It's been a mark of shame on farmlands, a sign of sloppy maintenance. "Oh gosh, here's another one of those people with some crazy idea and he wants farmers to grow milkweed!" she remembered thinking. "But I listened." After learning that hundreds of Quebec acres were already under milkweed production, she reached out to farmers in Vermont whom she considered innovators — people who would "want to listen, wouldn't laugh too hard, might try it out." Now, more than 100 farmers in Quebec and about a half dozen in Vermont are producing milkweed for Monark, of which Nathalie Leonard serves as president. The ecological and economic promise of milkweed prompted Roger Rainville to convert 50 prime acres of his farm lining the Canadian border to milkweed several years ago. "This was a whole field, from here to the woods, of just beautiful alfalfa," he said, gesturing over the dense green crop of purple-flowered milkweed, 3 miles (5 km) north of Alburgh, Vermont, as he awaited the monarchs on their northern summer migration. "You get along roadsides and there's not much fertility there. I tell farmers, if you're going to grow this, if you try something new, do it on your best soil," he said. Farmers from across the U.S. call him to ask how to get going with milkweed. At Rainville's farm, Darby waded into waist-high milkweed, bending to sniff tightly knit flowers that she likened to lilacs. The ugly-duckling weed was looking handsome and smelling fine. "What better opportunity to preserve an insect that's just so dearly loved by so many people, so globally known," Darby said, "but also seeing it come together with agriculture in such a beneficial way." It takes two or three years after planting for milkweed to flower and produce the pods bursting with fluff. Once established, they can be irrepressible. On her Lac-du-Cerf farm, Leonard will have her first harvest this autumn, her second year after planting. She'll pick the pods by hand because no way has been devised to harvest them mechanically while preserving the long, wide fibers essential for fine clothing, the lucrative end of the market. It's a short harvest, about three weeks, making for a labor-intensive, inefficient process, and a bottleneck that producers must overcome if they are to make a milkweed industry take root. "If we can manage to find a way to harvest at a faster rate, dry it and give it fine quality, then we have no shortage of people who want to buy it," Leonard said. "We are really pioneers," she added. "We could lose it all. That's how it works. You always need dreamers and people who are stubborn enough to keep going when people say it's time to stop." The monarch population is cleaved by the Rockies: Those east of the mountains winter in Mexico by the tens of millions, while much smaller numbers in the West migrate to California. It's one of nature's miracle migrations as the delicate insect ranges over as many as 3,400 miles (5,500 km), as far as southern Canada, in a round trip that takes several generations to complete. Mexican officials reported in March that the wintering monarchs, clumped tightly in trees, covered 6.1 acres (2.5 hectares) last winter, a decline of 15 percent blamed in part on brutal storms that season. The butterflies covered more than five times that territory 20 years ago. Now the cycle continues: On Rainville's farm, monarch eggs have been spotted on the leaves. He and Darby have seen the butterflies — and honeybees — come in higher numbers, and they anticipate more each year as the pathway becomes better known through butterfly "signaling." 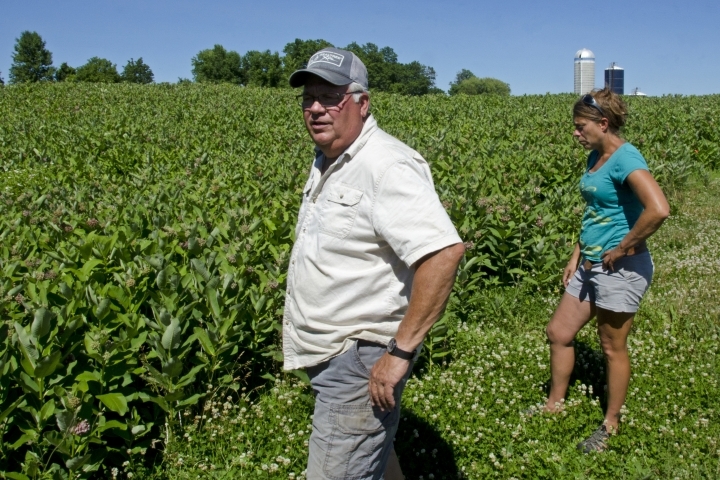 Such increases have been reported in Quebec, where milkweed farming got an earlier start. Over coming months, the monarchs will get their fill, find their wings and flutter away south, setting up the harvest for the milkweed they leave behind. It's a fraught journey — for the insects in their against-the-odds flight, and for the farmers trying to help them and make a buck. Associated Press writers Samantha Shotzbarger in New York and Chloe Kim in Washington contributed to this report.